I hope lots of you will tune in for our Glór Tire show. It airs on Tuesday 5th February at 9.30 pm on TG4. 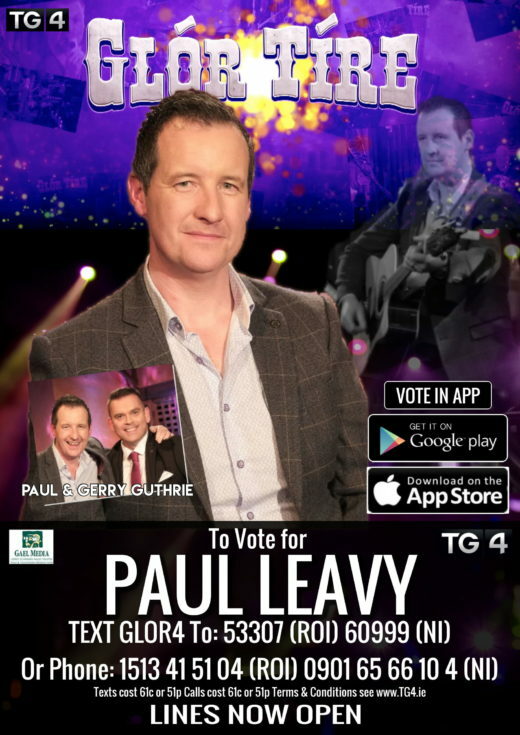 The show was recorded Live in Galway City, last Novemeber, and I’m joined on stage by my competitor for this years Glór competition Paul Leavy.We had a ball recording it ansd we hope you enjoy the show! !